This recent policy change in Australia is, unfortunately, a foreshadowing of what is coming to the United States and the rest of the Western world. For instance, a recent CA law that was approved by the CA state health panel would eliminate all vaccine exemptions except those given for medical reasons. 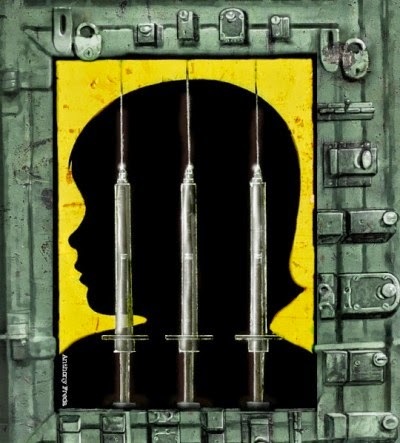 Big Pharma, corporations, governments, and their media mouthpieces have attempted to eliminate the ability of citizens to choose for themselves and their children whether or not they would be vaccinated for years. Not only are these new developments – the CA bill and the new Australian policy – an extremely dangerous health policy in and of itself when one considers all the evidence pointing toward the dangers of vaccines, but it is also a frontal assault on individual liberty and the right of choice. For this reason alone, these laws and policies must be resisted by any and all means available and by any and all means necessary.